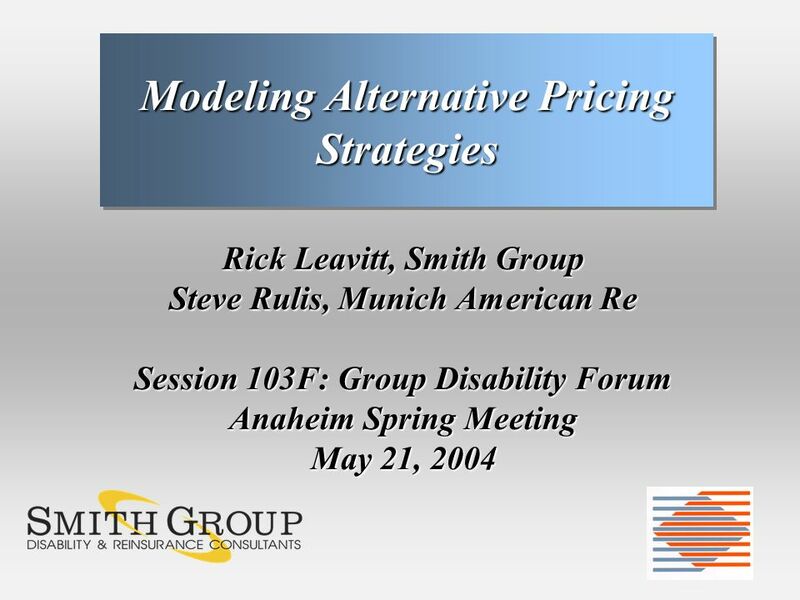 Rick Leavitt, Smith Group Steve Rulis, Munich American Re Session 103F: Group Disability Forum Anaheim Spring Meeting May 21, 2004 Modeling Alternative. 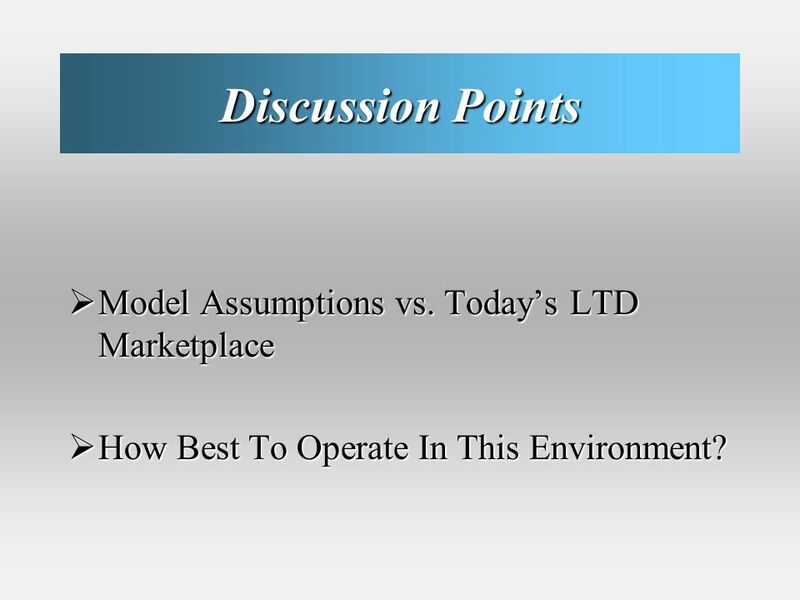 24 Discussion Points Model Assumptions vs. Todays LTD Marketplace Model Assumptions vs. Todays LTD Marketplace How Best To Operate In This Environment? How Best To Operate In This Environment? 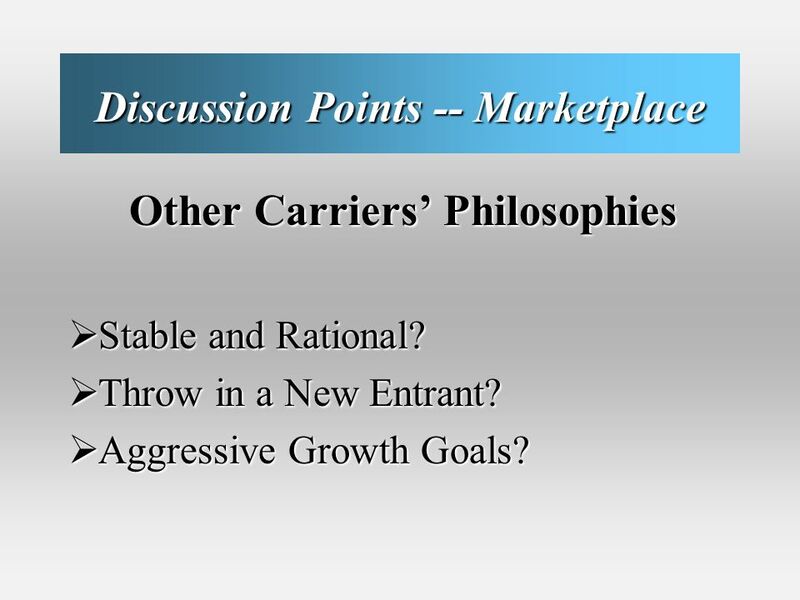 27 Discussion Points -- Marketplace Other Carriers Philosophies Other Carriers Philosophies Stable and Rational? Stable and Rational? Throw in a New Entrant? Throw in a New Entrant? 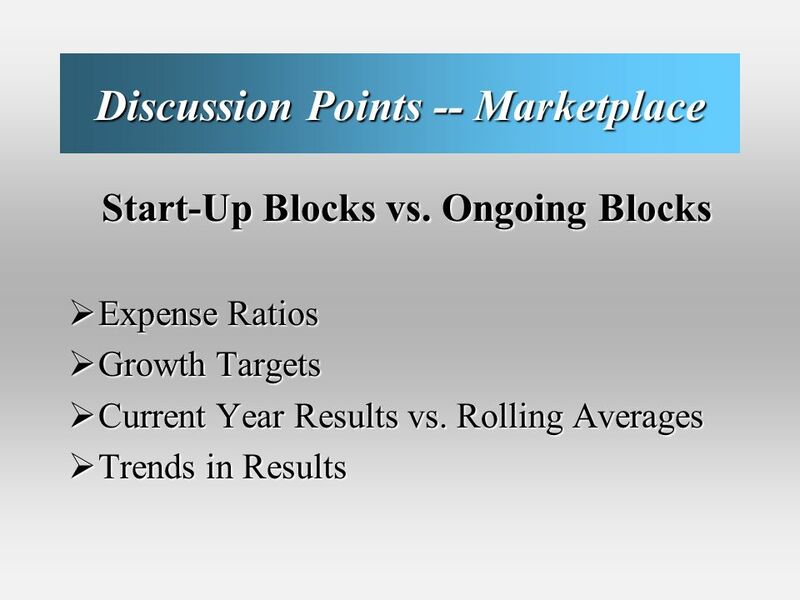 Aggressive Growth Goals? 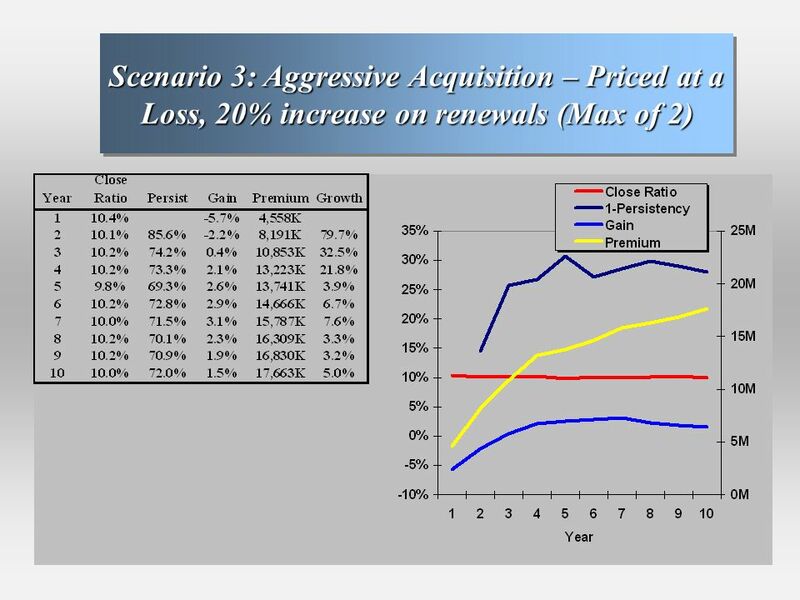 Aggressive Growth Goals? 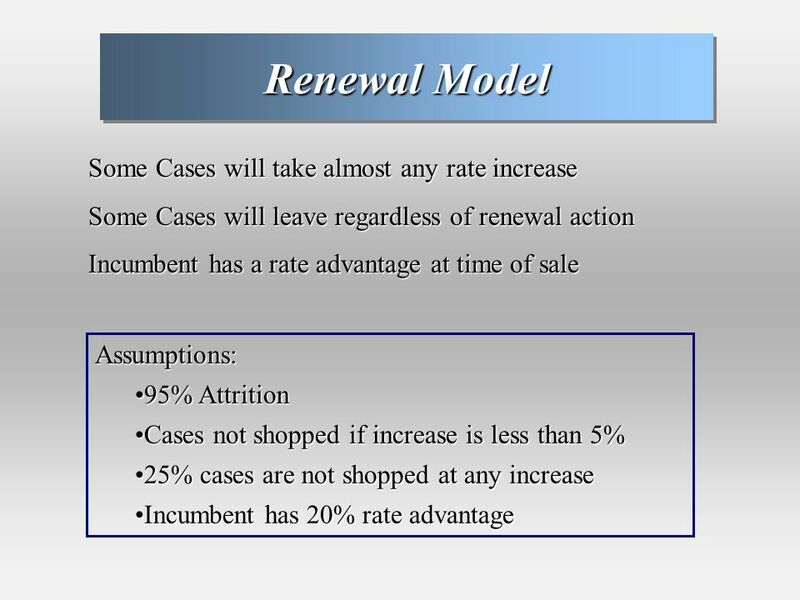 29 Discussion Points -- Execution Implementing Rate Increases Implementing Rate Increases Developing the Renewal Strategy Developing the Renewal Strategy Rate Increases Targeted at Block Level or Case Level? 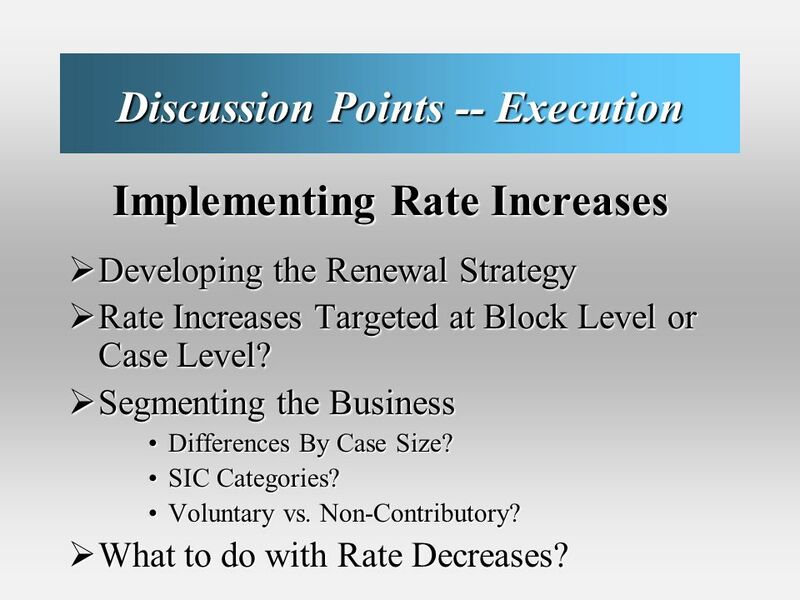 Rate Increases Targeted at Block Level or Case Level? Segmenting the Business Segmenting the Business Differences By Case Size?Differences By Case Size? SIC Categories?SIC Categories? Voluntary vs. Non-Contributory?Voluntary vs. Non-Contributory? 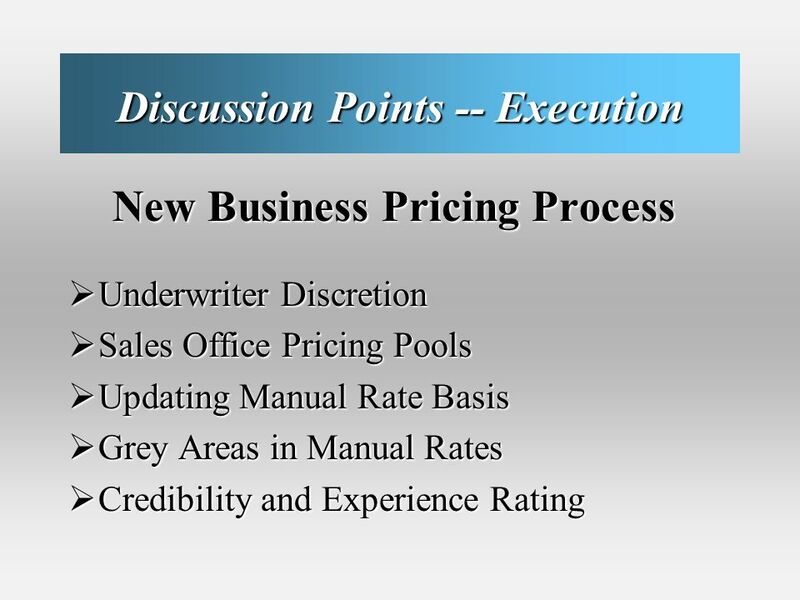 What to do with Rate Decreases? 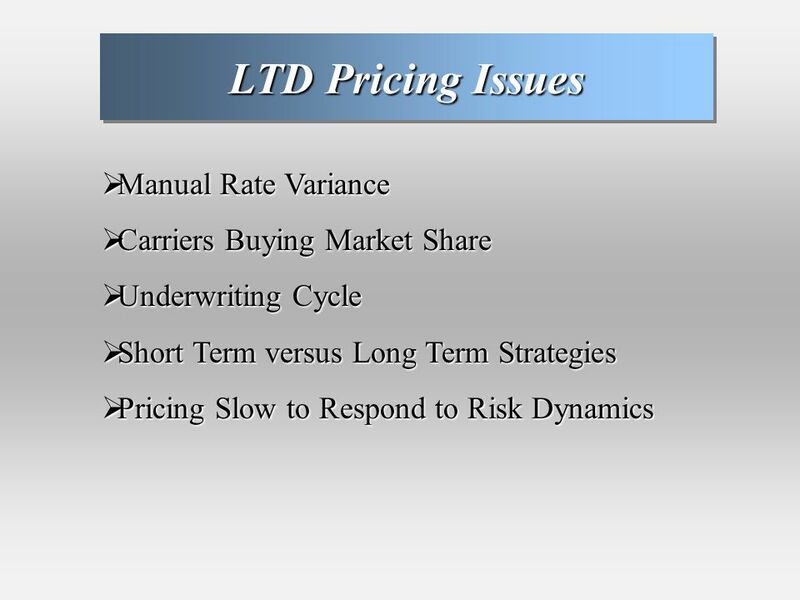 What to do with Rate Decreases? 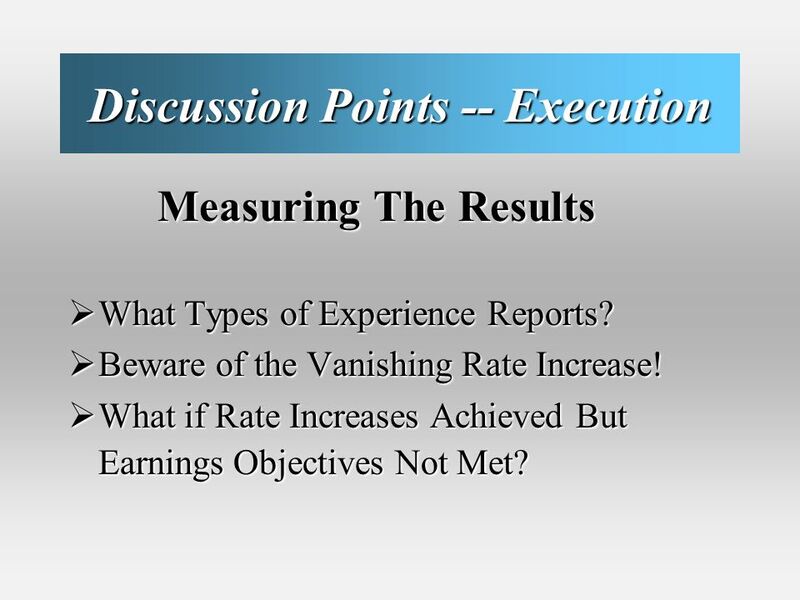 31 Discussion Points -- Execution Measuring The Results Measuring The Results What Types of Experience Reports? What Types of Experience Reports? 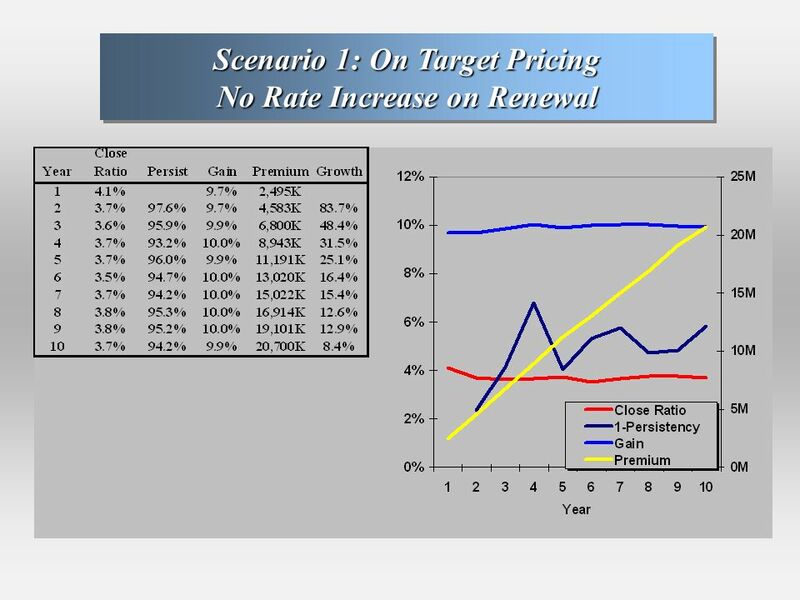 Beware of the Vanishing Rate Increase! 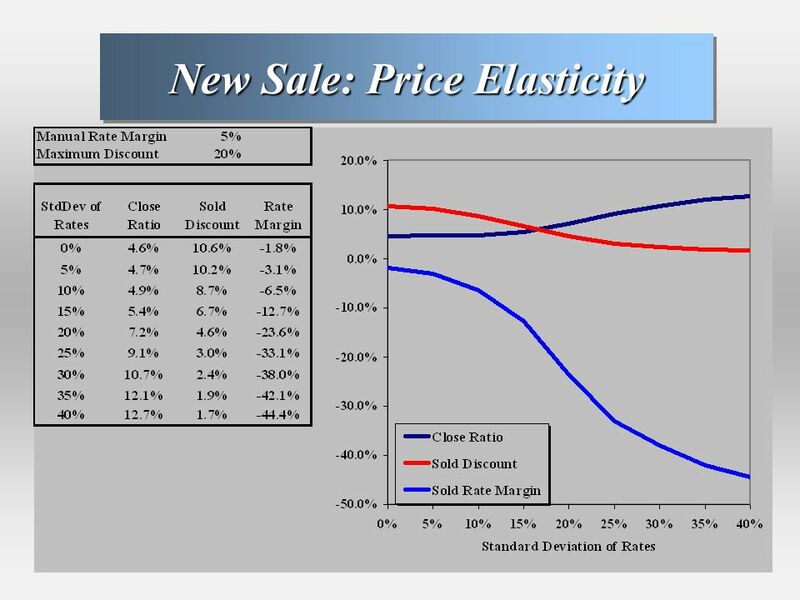 Beware of the Vanishing Rate Increase! 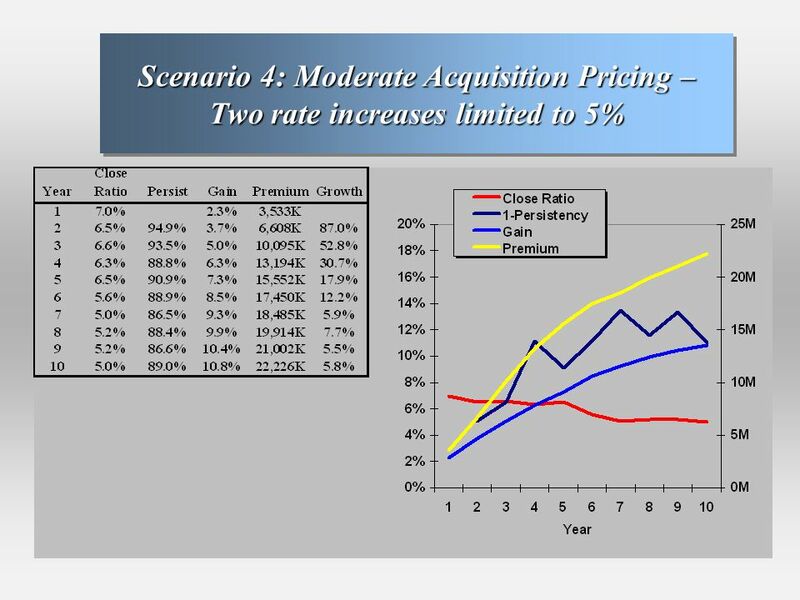 What if Rate Increases Achieved But Earnings Objectives Not Met? 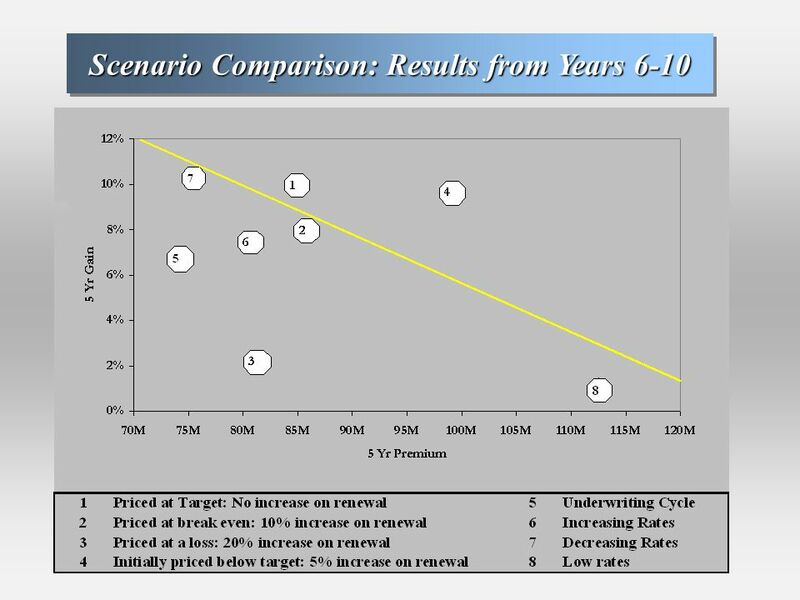 What if Rate Increases Achieved But Earnings Objectives Not Met? 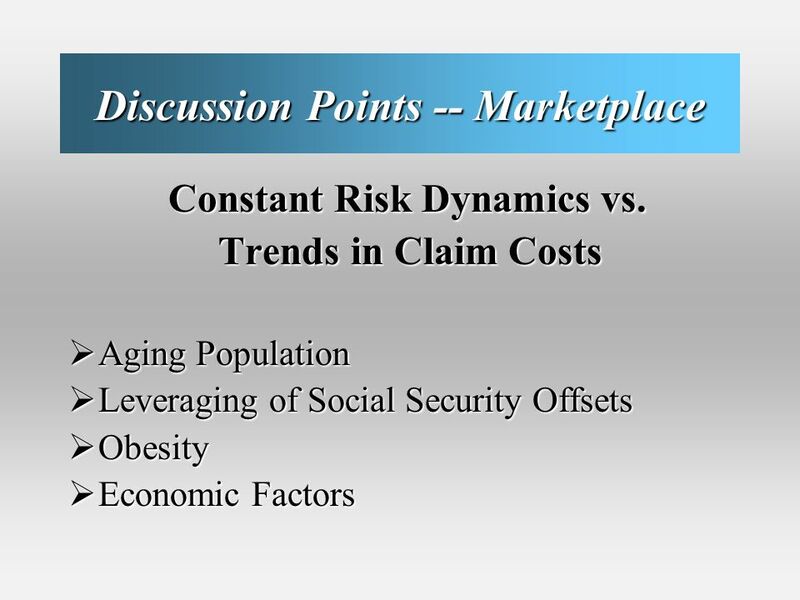 Download ppt "Rick Leavitt, Smith Group Steve Rulis, Munich American Re Session 103F: Group Disability Forum Anaheim Spring Meeting May 21, 2004 Modeling Alternative." Allied Funding Advantage How Alternative Funding Works. 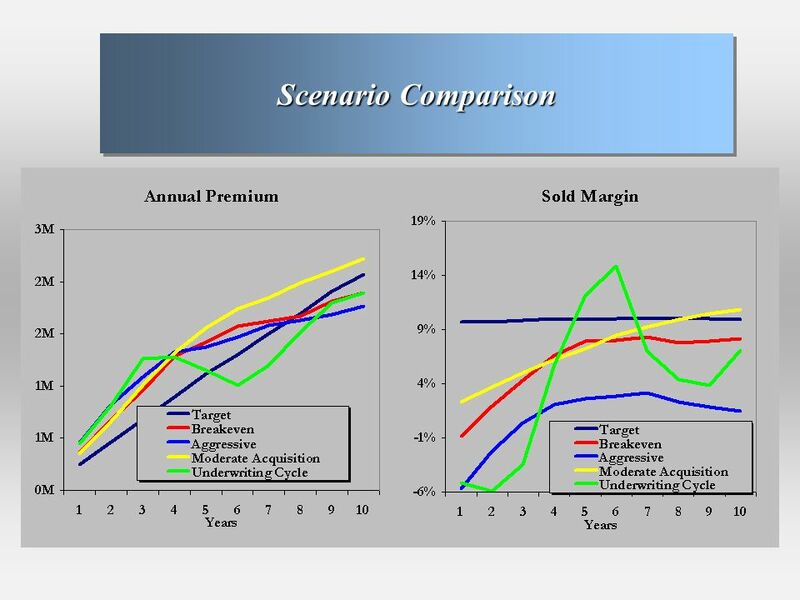 September 22, 2004 Maine Event 2004 Thinking about Decision Making Rich Clement:Underwriting Decisions Rick Leavitt: Actuarial Decisions - Issues - Simulation. Rick Leavitt – ASA, MAAA - Smith Group Andy Baillargeon – FSA, MAAA – JHA Ben Yahr – FSA, MAAA – Cigna Group Insurance Session SOA Annual Meeting. 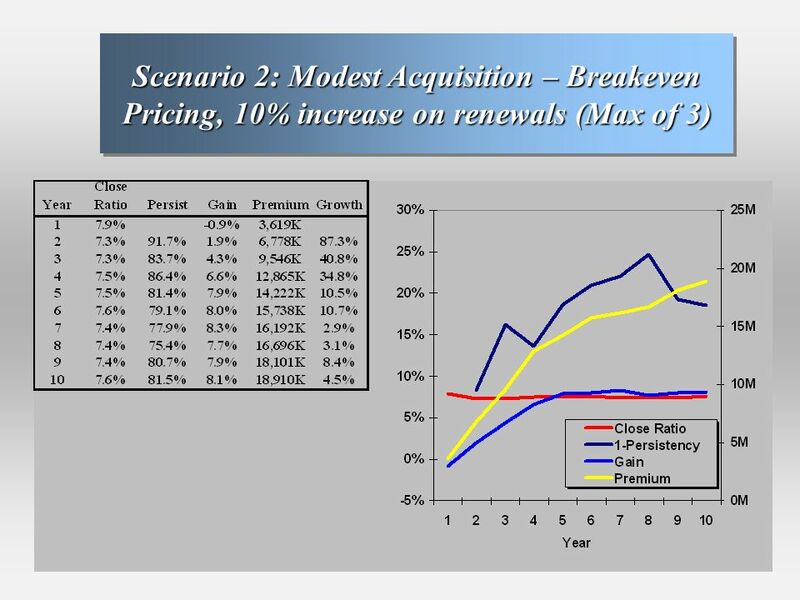 Product Provisions Source Brokerage, Inc.. 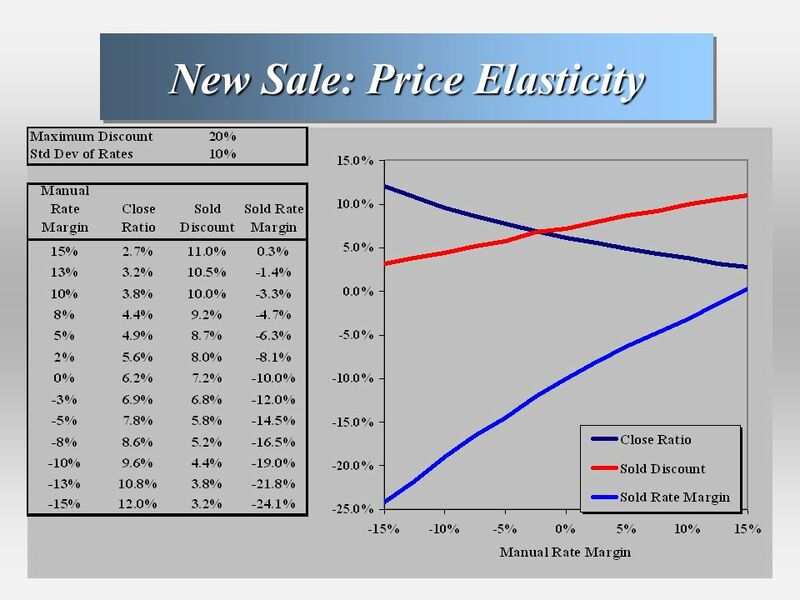 Choosing a DI Product Strong company Flexible plan Competitive price. 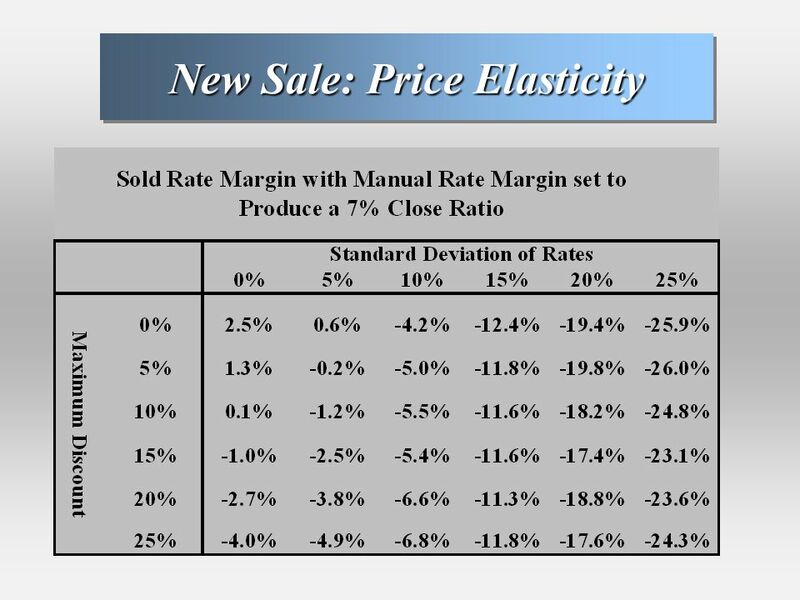 1)Market Share 2)Market Growth 3)Total Revenue = Selling Price * Number Sold 4)Profit or Loss = Total Revenue – Total Costs 5)Total Costs = Variable Costs. Market risk management of public debt First Annual Meeting of Latin American and Caribbean Public Debt Management Specialists Ove Sten Jensen & Morten. Society of Actuaries Life & Health Insurance Spring Meetings 2003 Individual Disability Insurance Opportunities for Life Insurers Steve Miller Vice President. 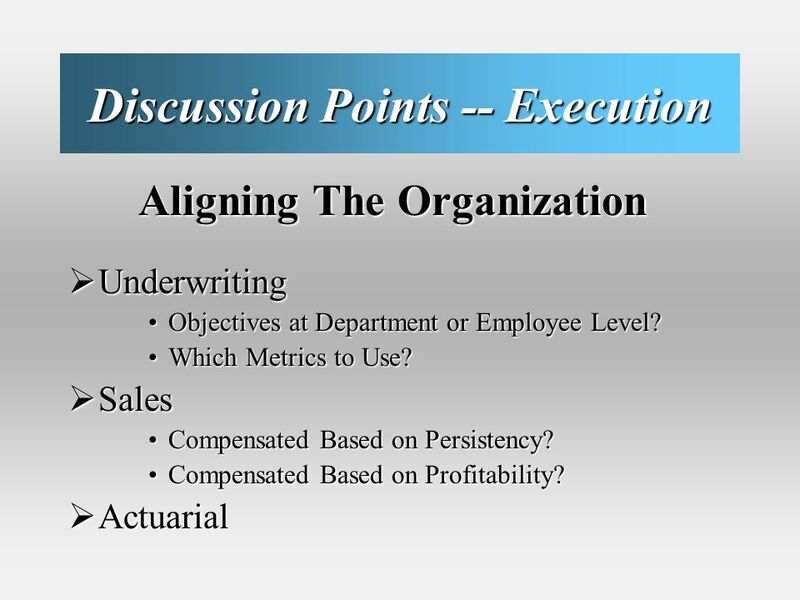 Create A Profit Plan for a Successful 2011 presented by Advisors On Target PDCA Contractor College November 16, 2010. Humana, Inc. 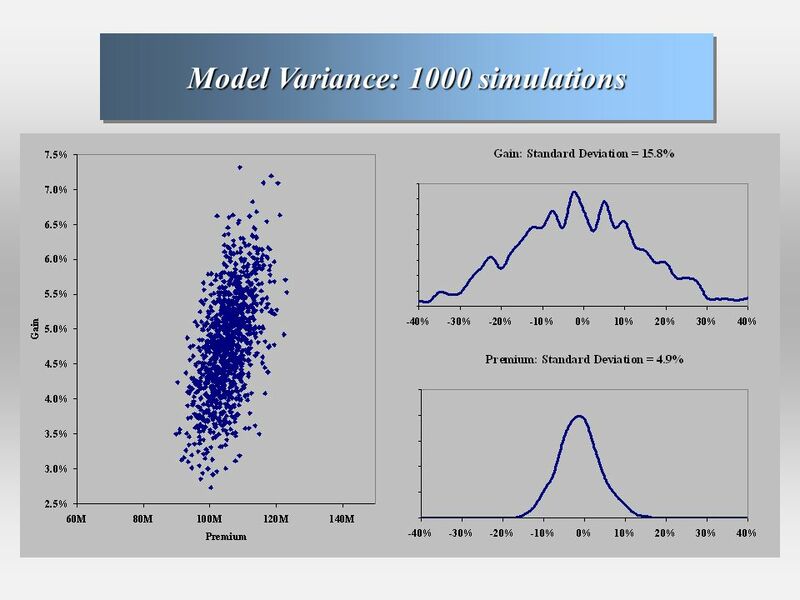 Sample Case Analysis Presentation Professor Joanne Luzietti April 11, 2008. 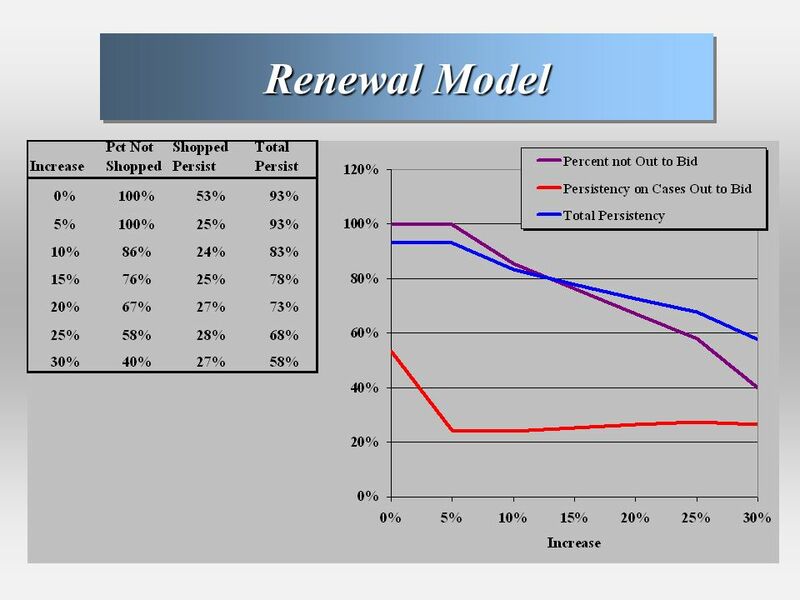 Capital Structure Debt versus Equity. 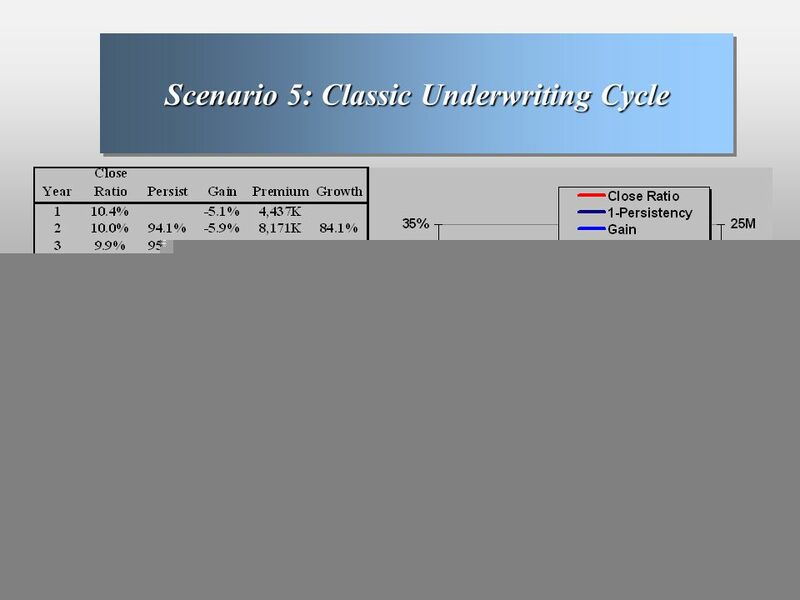 Advantages of Debt Interest is tax deductible (lowers the effective cost of debt) Debt-holders are limited to a.
Midwest Actuarial Forum Aon Center March 26, 2002. 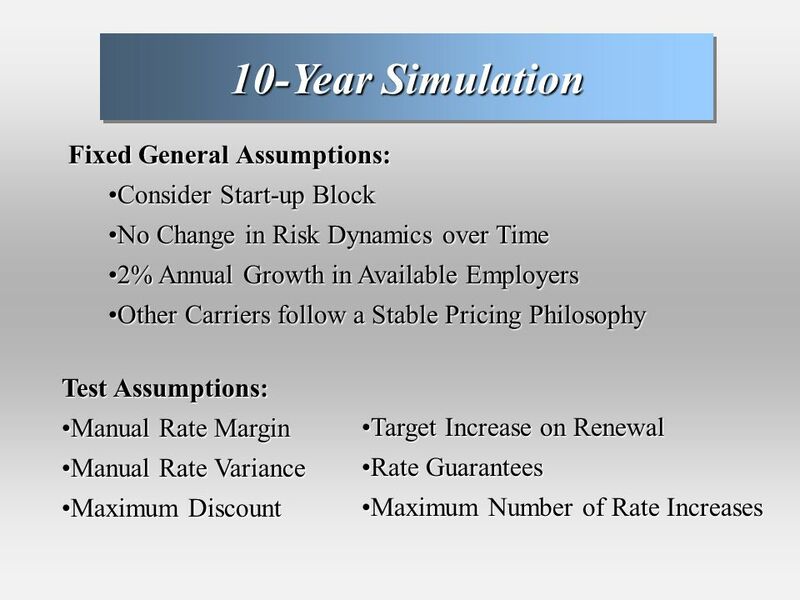 Guaranteed Renewable Disability Insurance – A Developing Opportunity The Plus Group Live Audioconference August 18, 2010. 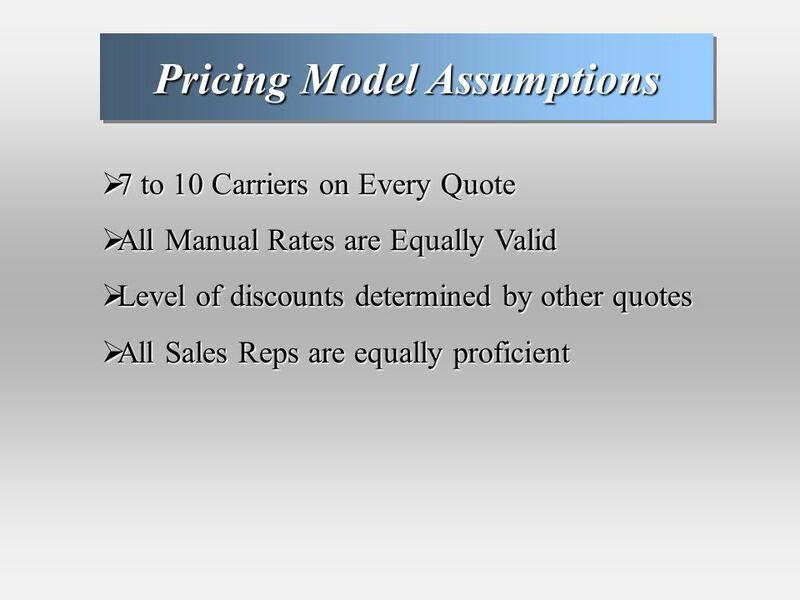 McGraw-Hill/Irwin © 2003 The McGraw-Hill Companies, Inc., All Rights Reserved. 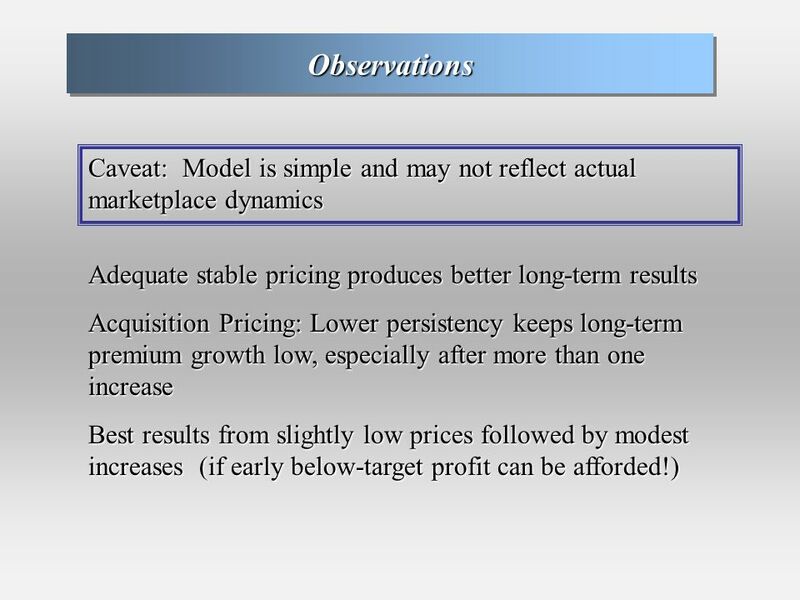 Chapter 10 The Role of Costs in Pricing Decisions.  Homework #8 Due Thursday  Quiz #4 Thursday Nov. 17 th  Homework #9 Thursday Nov. 17 th  Group Outline due Thursday Nov. 17th  Exam #4 Dec. 1st. 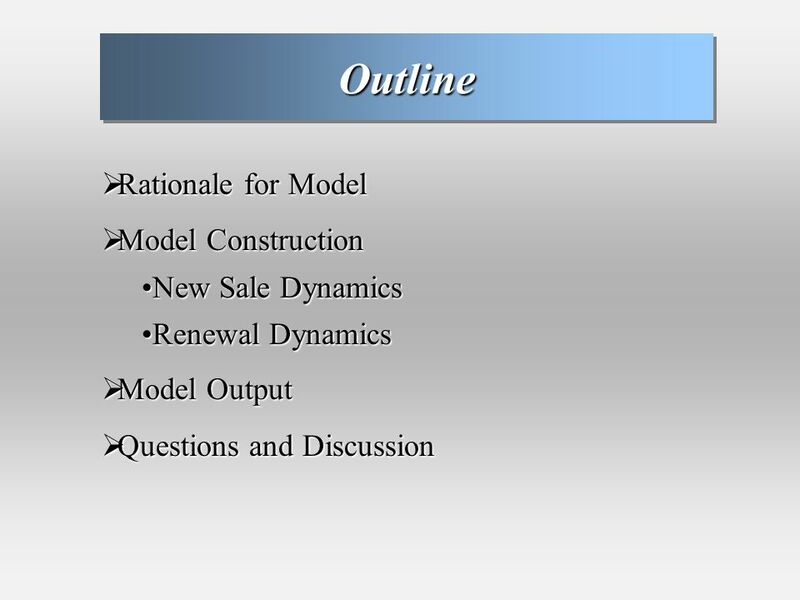 Copyright © 2006, The McGraw-Hill Companies, Inc.McGraw-Hill/Irwin Chapter Six Cost-Volume-Profit Relationships. 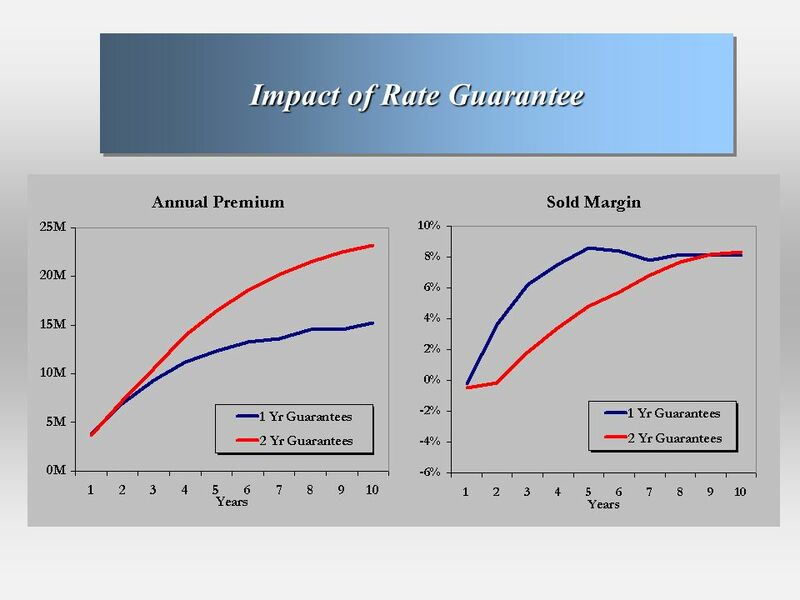 1 Math 479/568 Casualty Actuarial Mathematics Fall 2014 University of Illinois at Urbana-Champaign Professor Rick Gorvett Session 3: Economics and Insurance. 1 Casualty Loss Reserve Seminar September 14, 1999 Presented by: Susan E. Witcraft Milliman & Robertson, Inc. 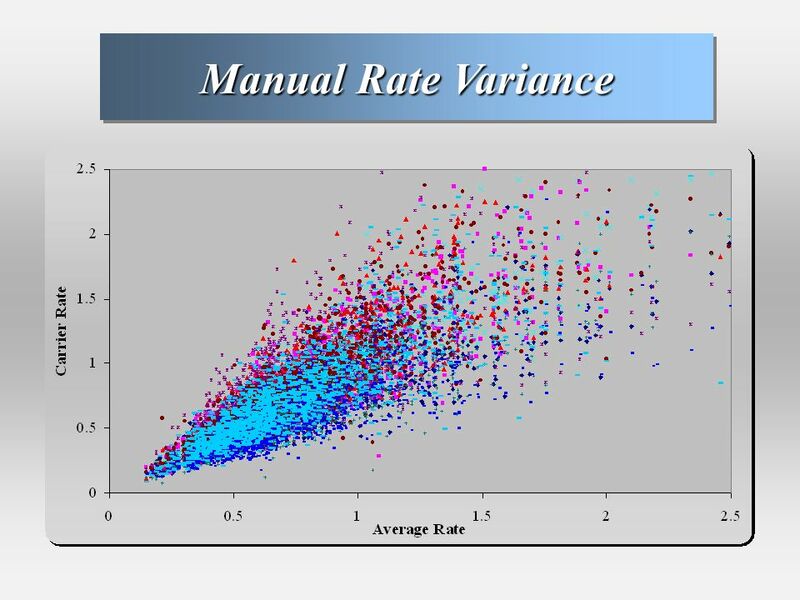 DYNAMIC FINANCIAL ANALYSIS What Does It Look.